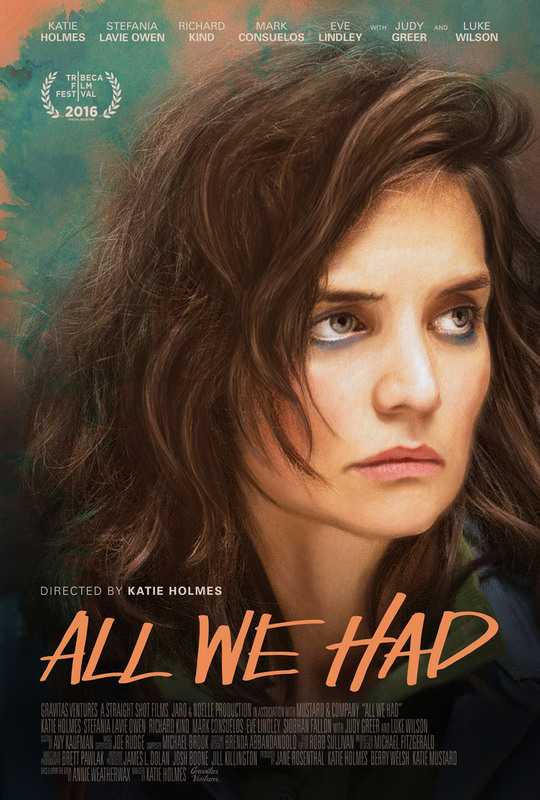 ComingSoon.net has your exclusive first look at a clip from Katie Holmes’ directorial debut, All We Had. You can watch the All We Had clip in the player below and let us know what you think in the comments! The film stars Katie Holmes (“Ray Donovan,” Batman Begins), Stefania Owen (“The Carrie Diaries”), Luke Wilson (“Roadies”), Richard Kind (Inside Out), Mark Consuelos (“Queen of the South”), Judy Greer (Ant-Man) and Eve Lindley (“Mr. Robot”). For fifteen-year-old Ruthie Carmichael (Stefania Owen) and her young mother, Rita (Katie Holmes), life has never been stable. Fleeing Rita’s latest boyfriend, they find themselves living out of their beat-up car, and heading east in search of a better life. When money runs out and their car breaks down, they become stranded in a small town where Rita ultimately lands a steady job waitressing at Tiny’s, a local diner where they begin to develop a family: tender-hearted Marty (Richard Kind), the owner of the diner, and Pam (Eve Lindley), a transgender waitress with big dreams who becomes Ruthie’s closest friend. All We Had is directed by Holmes from a screenplay by Josh Boone and Jill Killington, based on Annie Weatherwax’s novel. Gravitas Ventures brings All We Had to theaters and On Demand on December 9.